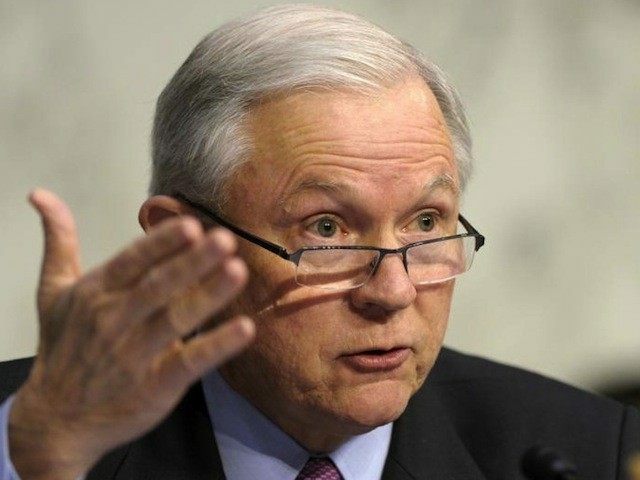 Home Immigration SENATOR JEFF SESSIONS HITS INTEL – They Use H-1B Visas to Replace Americans! Sen. Jeff Sessions (R-AL), chairman of the Senate Judiciary Committee’s subcommittee on Immigration and the National Interest, slammed Intel, the technology company, for seeking to replace the American workers the company laid off last year with cheap foreign workers via the H-1B program. Lisa Malloy, Intel’s director of policy communications and government relations, issued a statement last week laying out how it plans to seek H-1B visas for at least 1,000 engineer jobs inside the United States. But as we all know, Intel and other leading high-tech companies will have to make contingency plans due to the arbitrary congressional cap on H-1B visas. Only 85,000 applications will be accepted and the U.S. Citizenship and Immigration Services (USCIS) has already predicted they’ll exceed that cap within just five days of filing day – April 1. This isn’t surprising given that last year, 172,500 H-1B applications were received. Specifically, Malloy noted that Intel does about 75 percent of its “advanced manufacturing and R&D” inside the U.S., despite high percentages of its revenue coming from abroad. However, what is perhaps most interesting regarding Intel’s decision to publicly push for more cheap foreign workers via the H-1B program rather than hiring Americans for those jobs is that just last year Intel laid off five percent of its global workforce – more than 5,000 workers. Intel “will trim about 5% of its 107,600 global workforce by the end of 2014 – 5,380 jobs,” CNN Money reported in January 2014. Given the fact that, according to Malloy, about 75 percent of the jobs Intel has in its major departments of research and development and advanced manufacturing are inside the U.S., Intel could rehire the thousands of people it laid off before bringing in new foreign workers to take those jobs. Or Intel could hire American-born engineers who are by-and-large widely unemployed right now. Intel was involved in a wage-fixing scheme with several other high-tech giants, aimed at driving the cost of labor down – so they would not have to pay employees as much. Intel claims it aims to hire Americans first over H-1B foreigners, and claims – via an article in trade publication Dice News – that it exhausts all efforts and avenues to do so. Intel’s Vice President and Director of Human Resource Enterprise Services Ardine Williams is quoted in the piece saying that everything comes down to “supply and demand” – and that there is not, according to Williams and Intel, enough labor supply. “When you get to the Ph.D. level, the number of people who specialize in engineering gets smaller and the universities don’t produce enough people with master’s and Ph.D.s,” Williams said. The lengthy article walks through “how Intel hires” next, making it appear as though Intel seeks American workers first. First, it will exhaust its database of candidates compiled from conferences, career fairs, referrals, job postings and direct applications through its own website. According to Williams, part of the reason why Intel will look past American workers who have been laid off to, instead, hire foreigners via the H-1B program is because American engineers’ skills – especially after a layoff – are not necessarily as up to date as foreigners’ skill sets. Chris O’Brien at Venture Beat laid out how the H-1B program – and tech companies’ use of it in conjunction with mass layoffs of American workers – makes people expendable and disposable items. H-1B, immigration, Intel, Legal Immigrants For America, LIFA, politics. Bookmark.